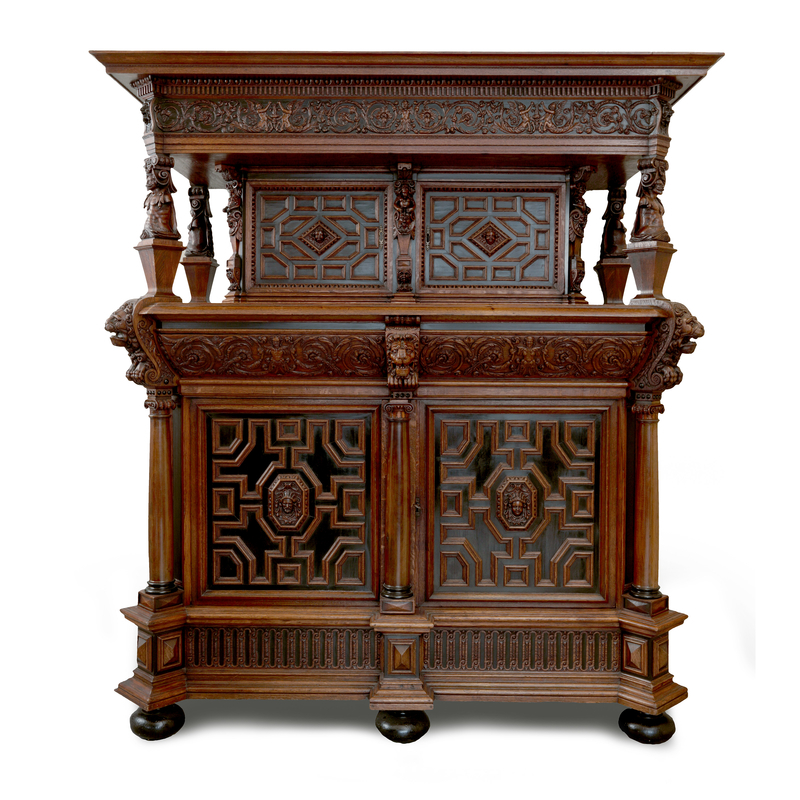 The cabinet is richly veneered with ebony and walnut and is finished with detailed carving. 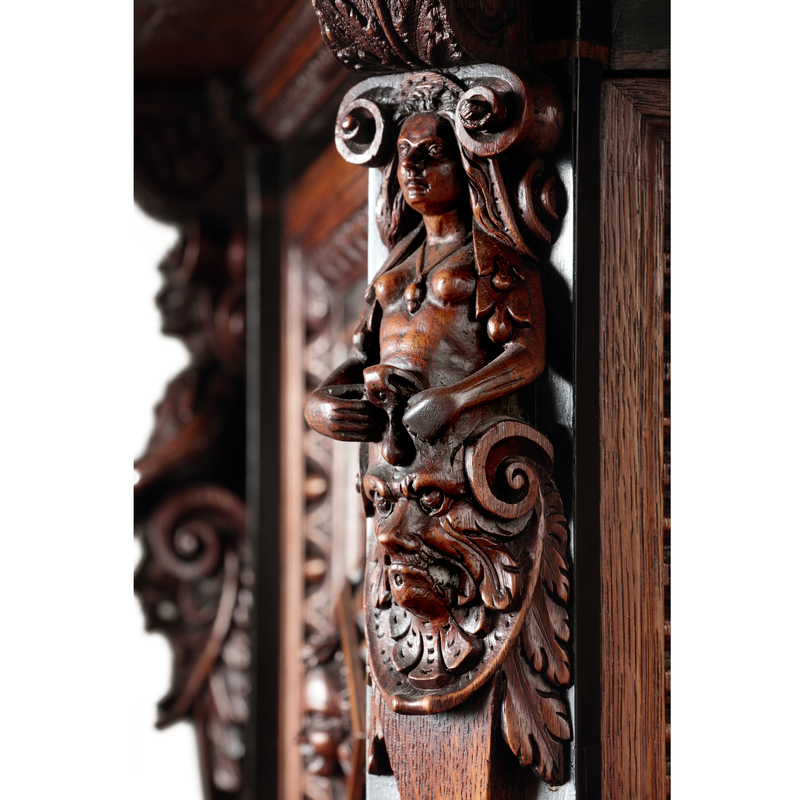 The frieze of the cabinet is decorated with thick leaves between half figures. 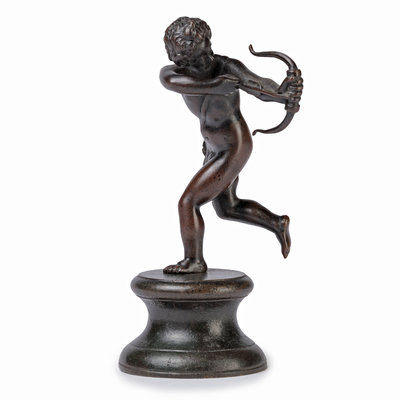 A striking feature is that the motives are carved from walnut and are placed against an ebony background, creating a beautiful effect. 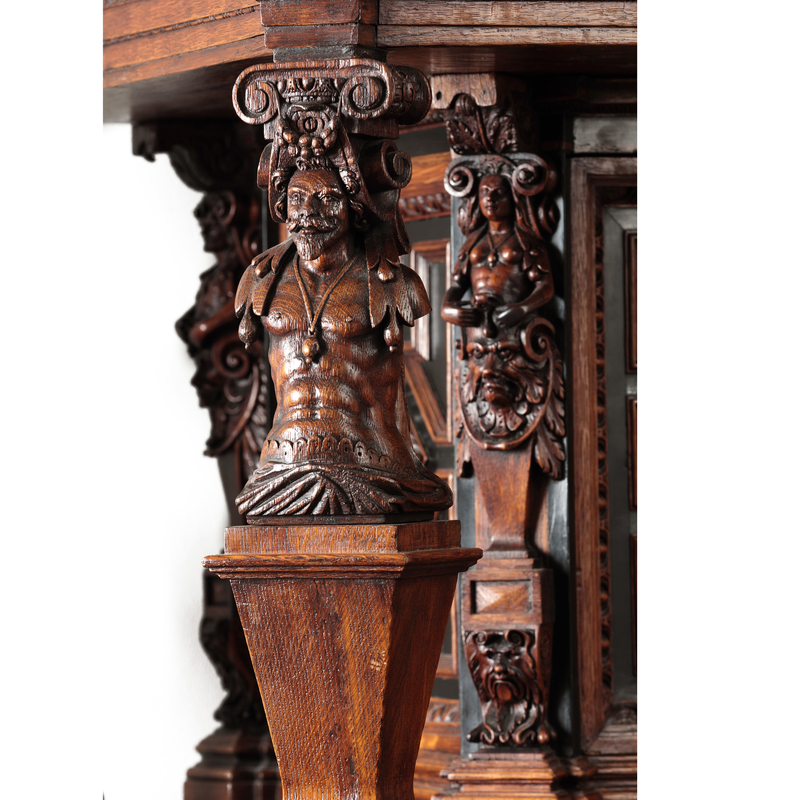 Most of the carving is carried out in walnut, such as the heads in the centre of the corniches on the doorpanels of the upper and lower cabinet, but also the half figures against the ridges of the upper cabinet. 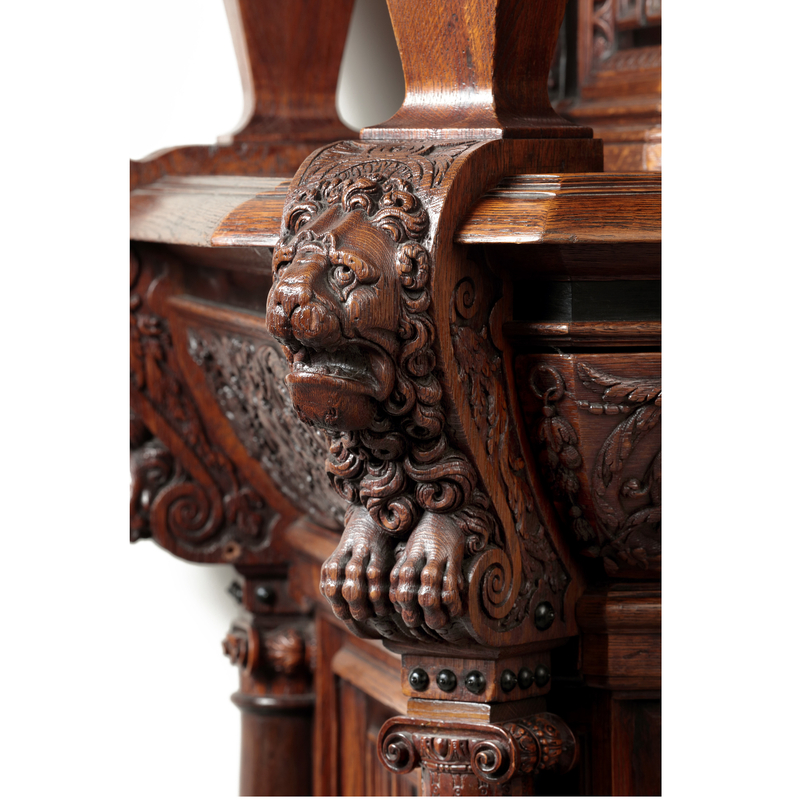 Remarkably, the half figures that carry the hood and the lion consoles below are carved from the coarser oak. 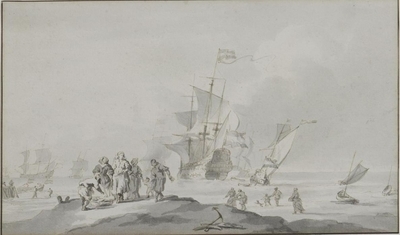 Above the frieze a small, hollow pipe is placed, a feature that can be considered to be characteristic for Zeeland. 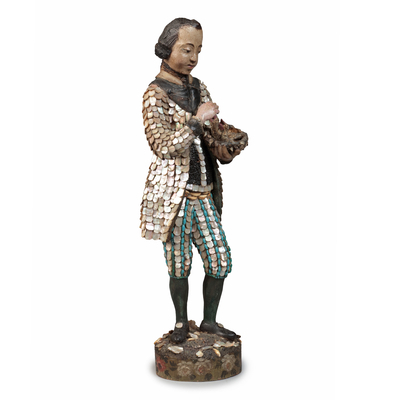 The corniches are carried out in octagonal patterns and are completely veneered. Only the profiled frames are made from oak. In the plinth of the cabinet is the well-knows chain-frieze, partially veneered. The interior of the cabinet is delicately finished with panels in the framework giving of the impression of an art cabinet.